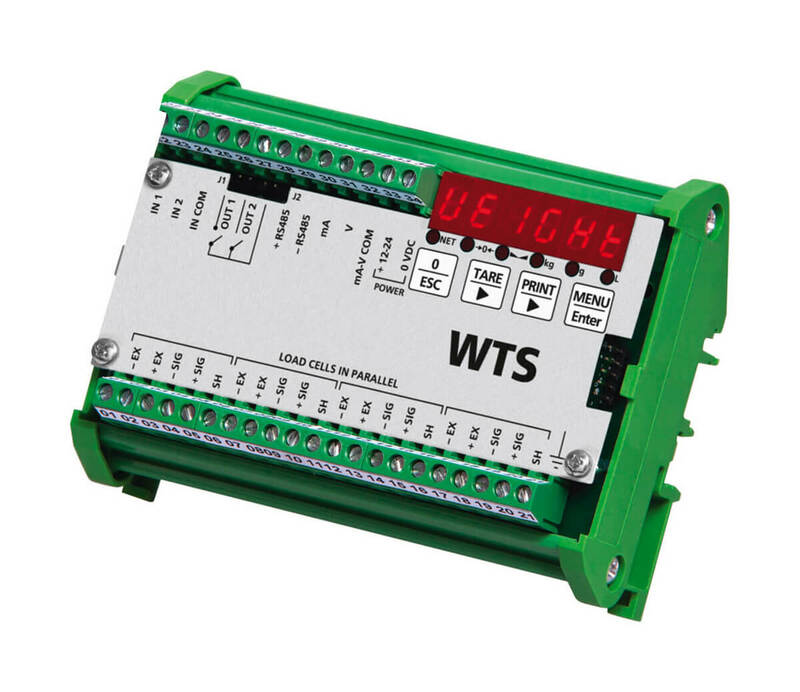 Product information "Weight Transmitter WTS"
The WTS is a highly accurate digital weight transmitter with 24-bit A / D converter, which converts the output signals of the connected load cells into a stable weight value. The variety of available interfaces allows easy and secure integration of weighing systems with any automation system. 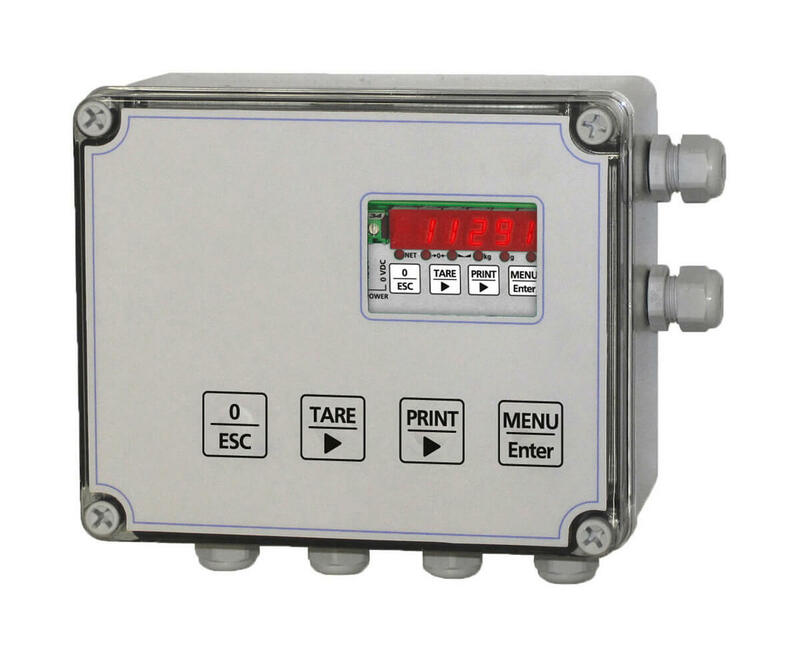 The weight transmitter has both analogue and digital outputs that gives stable measurement information. 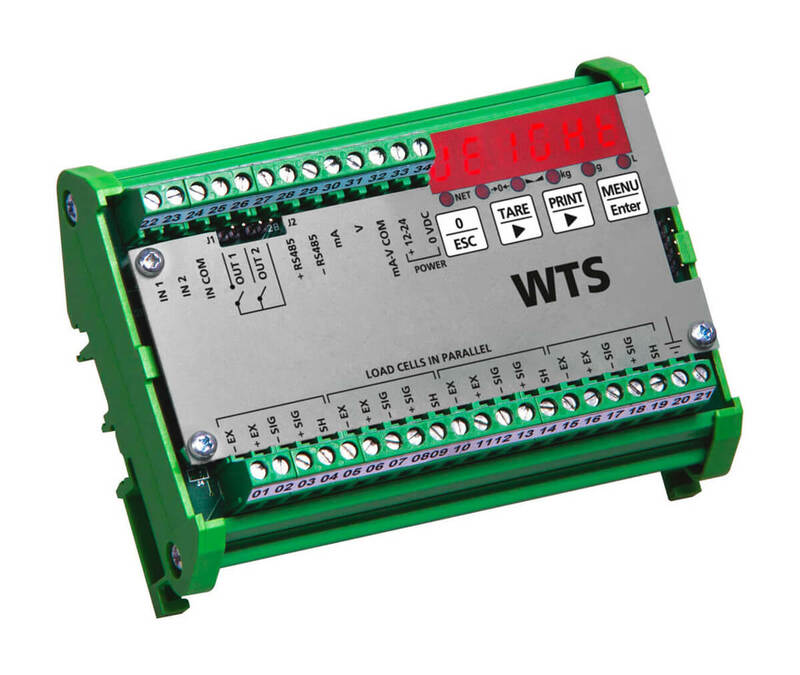 Two freely programmable relay outputs and two digital logic inputs are also standard. 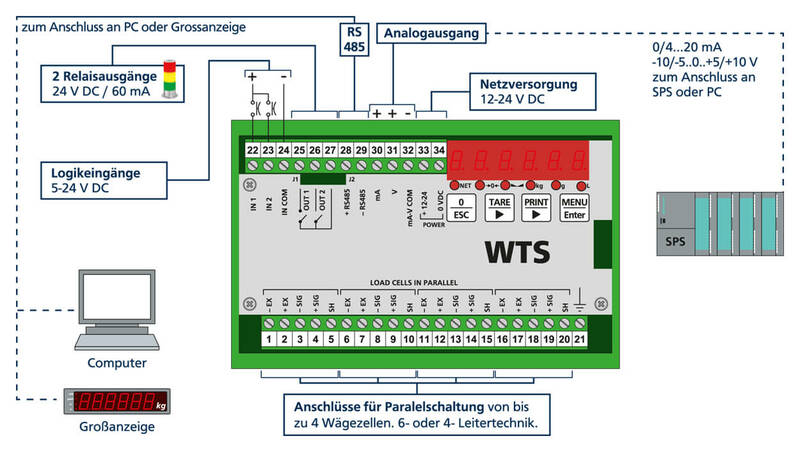 The analog output provides a signal proportional to the weight that can be handled by a PLC or a PC. 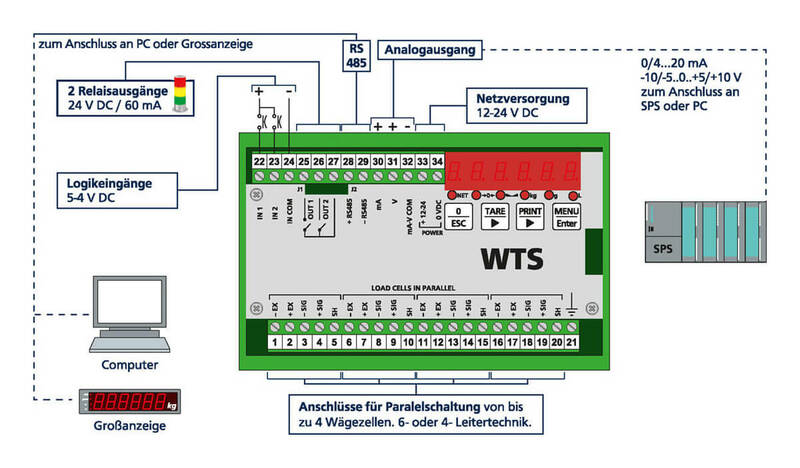 Communication is via an RS485 interface. 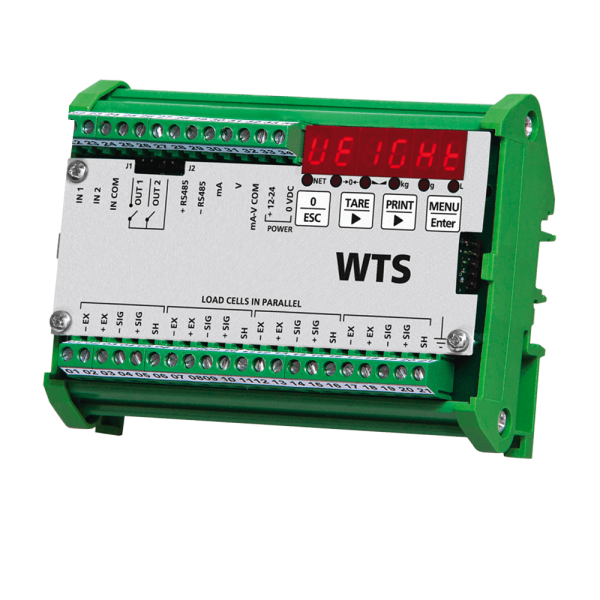 The WTS has DIN rail mounting weighing indicator for a 6-digit display and four buttons, the settings can be made. Through the well-read bright display, the weight value can be controlled locally. 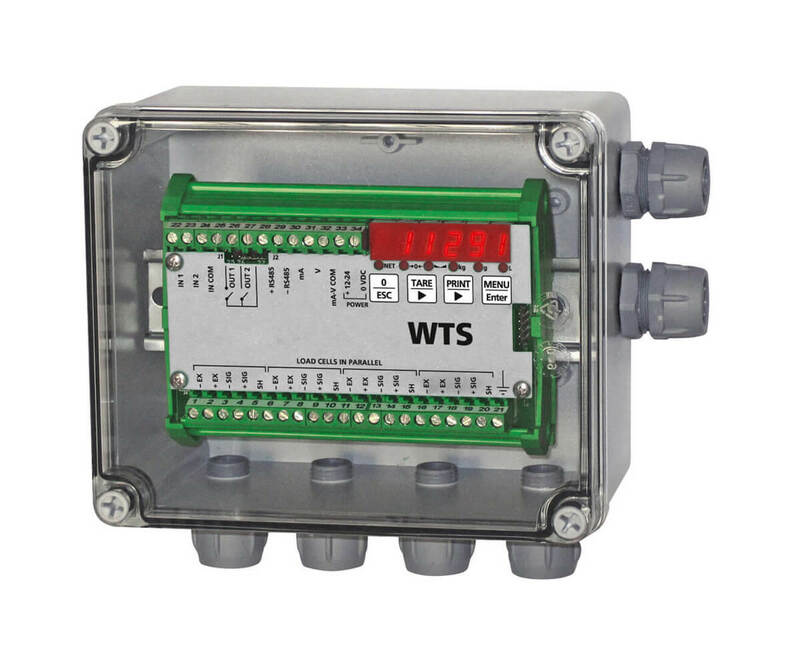 he weighing transmitter can optionally be supplied in a plastic housing with cable glands. Related links to "Weight Transmitter WTS"